Join AQHA in Fort Worth, March 8-11 for the AQHA Convention . During convention, they will review member-submitted rule changes, appoint new AQHA directors, induct new members into the American Quarter Horse Hall of Fame and elect the AQHA Executive Committee. There is a lot of business to take care of, but a little fun to be had as well. Purchase tickets to the much anticipated Hall of Fame Induction and the Boot Scootin' Foundation, featuring Asleep at the Wheel, hosted by the American Quarter Horse Foundation. Don't forget to sign-up for the guided Horse Farm Tour on Thursday, March 7, from 8:30 a.m. to 4:30 p.m for $45 per person or the Wine Tasting happening Saturday, March 9, from 2 to 4 p.m. for $40 per person. The 2018 Ohio Quarter Horse Awards Banquet held on Saturday, February 2, 2019 at the Hilton Downtown Columbus was bigger than ever! The banquet room was packed with more than 460 in attendance and awards presented to the 2018 OQHA award winners. OQHA Director and co-host for the night, Justin Billings, kicked off the night by inviting the 2018 Congress Queen, Taylor Foster, to lead the attendees in an invocation before dinner. The 2018 OQHA President, Chris Cecil Darnell followed the three course meal by reflecting on her year in office and presenting Valerie Sturgeon an appreciation award for her years of service as the OQHYA Advisor. She also presented Kyle Flatter and Candi Fites with President’s Awards. The new AQHA.com will be custom built with members and visitors in mind. Before you go show, use this online AQHA system to determine eligibility. When entering American Quarter Horse Association classes, AQHA exhibitors are required to provide proof of their level eligibility to show management. Exhibitors can print their level eligibility or save a digital copy on their phone for presenting to show management during the 2019 show season. To determine level eligibility for 2019, visit www.aqha.com/leveling to access the Web-based AQHA leveling verification system . Eligibility is for the entire year (January-December) so exhibitors only need to determine their level once per show season. How AQHA Levels Work AQHA youth, amateur and open divisions are divided into levels. 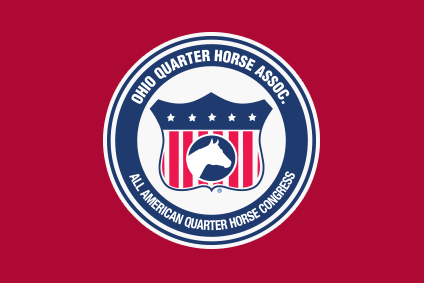 OAQHA Press Release: The Buckeye Classic will become Two Separate Shows for 2019: “The Little Buckeye & YEDA Classic” and the “BWHA Classic” The Little Buckeye and The Buckeye Classic shows, known together as “The Buckeye” were created by a partnership of the BWHA (Buckeye Western Horse Association) and OAQHA (Ohio Amateur Quarter Horse Association). Since 2013, The Buckeye has awarded more than $300,000 in free youth and amateur entries thanks to the generosity of show sponsors. And, The Little Buckeye earned its spot on AQHA’s Top 10 show list for two years. The combined show was known for being fun - especially for brightening the faces of lead-liners as they took away huge giraffes, hippos or zebras.